Happy Valentine's Day from The Shopping Channel with some Sweet Savings! 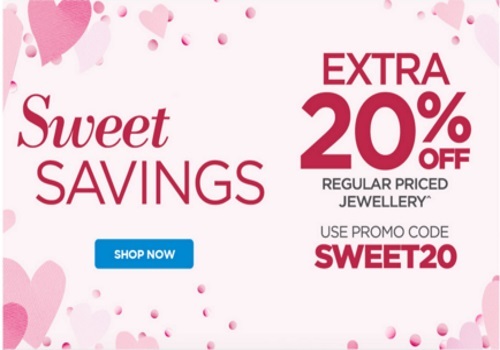 Save an extra 20% off regularly priced jewellery! Enter the promo code SWEET20 at checkout. Offer is valid until 9pm ET on February 14, 2016.